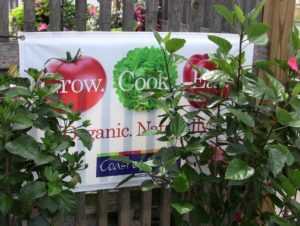 Curran Brothers Florists and Greenhouses has been proudly serving the entire north shore of Massachusetts and more since 1933. Curran’s is conveniently located at 15 Park St. Danvers, MA, just minutes from Route 1, Route 128, and Route 95. Since 1933 Currans Bros., Inc Florists and Greenhouses has been serving the families of Danvers, and the entire North Shore of Massachusetts.We are a family operated business with 2 generations of experience offering only the finest floral arrangements and gifts, backed by service that is friendly and prompt. We serve our local and long distance customers with care and consistency. We always go the extra mile to make your floral gift perfect. Over the years we have developed close relationships with local, regional and international farms and suppliers to ensure only the freshest flowers arrive at the recipient’s door. This commitment to quality ensures your experience at Curran’s will be amazing! 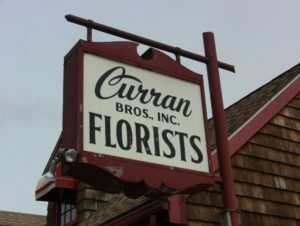 Currans started on Pickering St., Danvers in 1933. In the late 1940’s the brothers, Tom and Jim, bought the property where Currans operates today, the former location of the Park Street school. We still find bricks from the old building in the ground from time to time! Shortly after the Curran brothers moved 2 greenhouses to Park St. In the years before the global industry of floriculture as we know it existed, many flower shops would grow their own flowers. The Curran Brothers would grow cut flower crops such as carnations, chrysanthemums, lilies, iris, calla lilies. They would also source flowers from local growers like the McDermott’s on Maple Street. Bert McDermott grew about 50,000 gladioli on h is Danvers farm. The Currans would also grow potted seasonal plants and outdoor bedding plants. Currans carries on that rich agricultural tradition today. We grow premium cut tulips in the winter and beautiful hydrangea plants and cut flowers in the early spring. 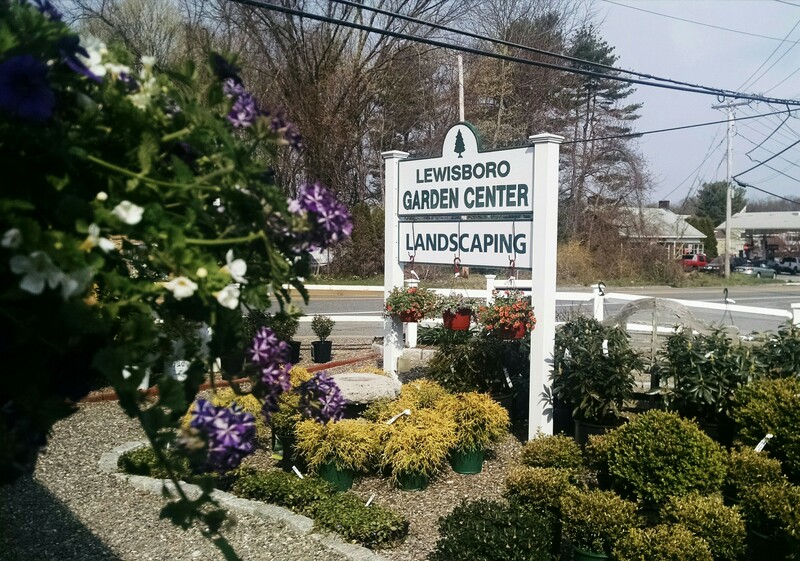 With four greenhouses on the property we are also able to offer a wide selection of premium quality outdoor, indoor, green, and blooming plants to our customers year round. Curran’s is know for our pristine bedding plants in the spring and summer as well as our popular hanging moss baskets which can be seen hanging on the most beautiful homes and businesses throughout the region. 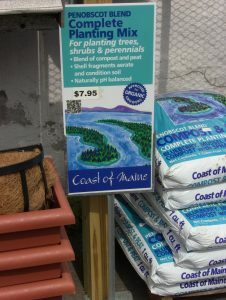 In the fall Currans grows beautiful mum plants and other seasonal plants. During the winter months we offer poinsettias and a full selection of winter greens, garlands, kissing balls, wreaths, and other outdoor decorations. In the 19 50’s Tom Curran passed away, later in 1974 Jim Curran retired. Alma Curran, the wife of Tom Curran, who had worked alongside of her brothers then took over the shop. In 1974, Paul Danehy Sr. had been managing a shop in Boston where he had been employed for about 10 years and was later offered a partnership. One day he fielded a call from Alma Curran who was placing a florist to florist order on behalf of a VIP customer and he mentioned he lived the Danvers area. Alma casually suggested he should buy her shop…..in the Fall of 1974 he did just that. In 1974 Currans Florist was a 4 day per week operation, closed Sundays, and half days on Wednesdays and Saturdays. Right away Paul opened the store 7 days a week, expanded the delivery area and introduced cash and carry specials, which was a new value orientated sales technique. Paul joined community service clubs and built a bond with the community. With a focus on a wider inventory and a commitment to quality products Currans has grown to be the go to florist and greenhouse in the region. 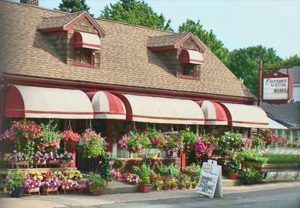 Currans has consistently voted best florist in Danvers and regional favorite year after year. Curran’s Flowers & Greenhouses delivers daily to all nearby towns including residences, businesses, hospitals, and funeral homes. Order online today with confidence and trust Currans, where quality counts. Learn more about our local flower delivery areas here. We hope you will become part of our history and let us serve you and your family the way we have served so many before you. Let Curran Brothers be your first choice for flowers.